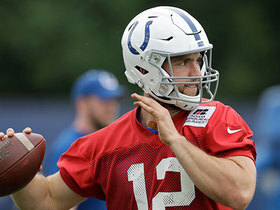 Luck completed 67 percent of his passes for 4,592 yards with 39 touchdowns and 15 interceptions in 2018. 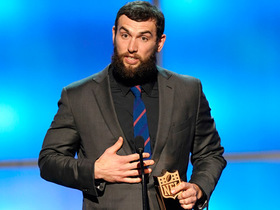 He gained 148 rushing yards and no touchdowns on 46 carries. 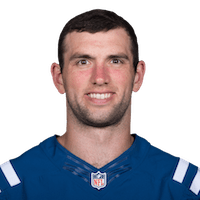 Luck completed 19 of 36 passes for 203 yards and one touchdown while rushing twice for 17 yards in Saturday's 31-13 playoff loss to the Chiefs. Analysis: The Colts didn't manage any offensive points until the fourth quarter -- though Adam Vinatieri did miss a 23-yard field goal -- as Luck went 7-of-12 for 76 yards in the first half. The usually porous Chiefs defense put on its best display of the season, as they were able to apply pressure and disrupt Luck's passing lanes early on. The 5.6 yards per attempt represent his worst output since being shut out at Jacksonville in Week 13. 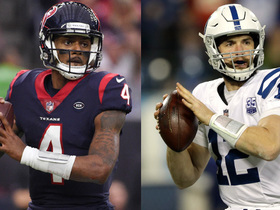 Luck completed 19 of 32 passes for 222 yards and had two touchdowns and one interception while rushing eight times for 29 yards in Saturday's win over the Texans. 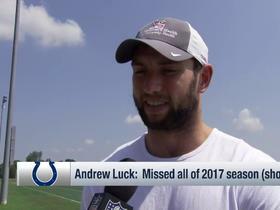 Luck completed 24 of 35 pass attempts for 285 yards, three touchdowns and an interception in Sunday's 33-17 win over the Titans. Luck completed 31 of 47 passing attempts for 357 yards, two touchdowns and an interception in Sunday's 28-27 win over the Giants. He also rushed twice for 13 yards. Analysis: The Colts scored just one rushing touchdown in the first half, but Luck threw a short score in each of the final two quarters, including a one-yard pass to Chester Rogers with under a minute remaining to win the game. It was an important rebound for the most important week of the fantasy season after the 29-year-old threw for just 192 yards and no touchdowns in Week 15. Indianapolis will wrap up the regular season at Tennessee in Week 17. 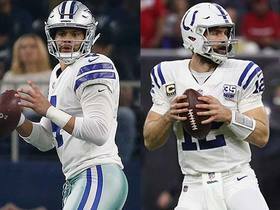 Luck completed 16 of 27 pass attempts for 192 yards and gained 20 additional yards on six carries during Sunday's 23-0 win over the Cowboys. Luck completed 27 of 41 passing attempts for 399 yards, two touchdowns and one interception in Sunday's 24-21 win over the Texans. He added 16 yards on six rushing attempts. 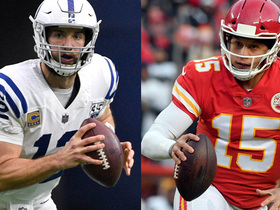 Analysis: A week after getting shut out by Jacksonville, Luck responded with his second-best yardage total of the season on the way to a key divisional win on the road. 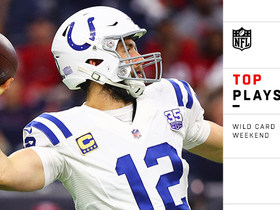 While the 29-year-old was kept out of the end zone for a fifth consecutive quarter to open the game, he would lead three straight scoring drives in the second to give the Colts a 17-7 lead at the half. 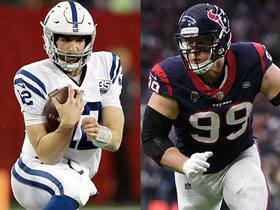 Luck returns home Week 15 for yet another tough matchup with Dallas. 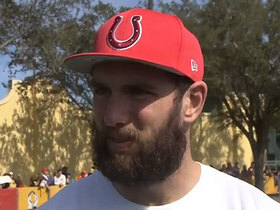 Luck completed 33 of 52 passes for 248 yards and an interception in Sunday's 6-0 loss to Jacksonville. He also rushed twice for 16 yards. Luck completed 30 of 37 pass attempts for 343 yards, three touchdowns and two interceptions during Sunday's 27-24 win over the Dolphins. 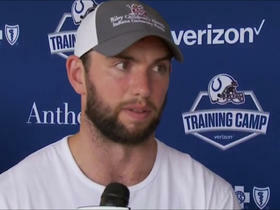 Luck completed 23 of 29 passes for 297 yards and three touchdowns during Sunday's 38-10 win over the Titans. Luck completed 21 of 29 pass attempts for 285 yards, three touchdowns and one interception during Sunday's 29-26 win over the Jaguars.